The South African stainless steel industry is vibrant and growing. Many users of stainless steel in South Africa are export focused. These include the manufacturers of exhausts and catalytic converters, tank containers, and the pipe and tube makers. 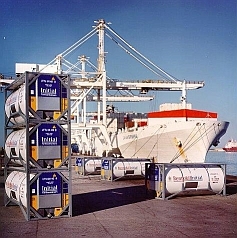 The local tank container industry supplies about 50 percent of the world's tank containers, mainly for the bulk transportation of chemicals but also for the transportation of liquid foods and beverages. Exhaust and catalytic converter systems are supplied to leading manufacturers including BMW, Daimler Chrysler, General Motors, Ford, Toyota, Volkswagen, Nissan, Renault, etc. We at Columbus are proud to be associated with these leading manufacturers and will continue to assist them in their quest to make their businesses successful. Columbus is the cornerstone of the South African stainless steel industry.